Are You Planning a Wedding or an Anniversary Party? 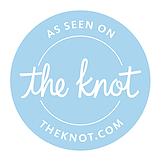 Looking for Rustic Wedding Venues in Northeast Ohio? Your big day is coming up. You want every detail to be perfect, from the dress to the cake to the venue. If you're looking for charming, rustic wedding venues in the Medina, OH area, White Birch Barn is the place for you. Unlike other barn wedding venues, White Birch Barn is tucked away in the countryside but still conveniently located near Akron, Cleveland and Canton. Call 330-441-0945 today to learn more about our event venue, vineyard and in-house services. Are you stuck trying to find rustic wedding venues or country barn wedding venues? Let White Birch Barn in Medina, OH put an end to your search. Our farm, which was a quaint and idyllic dairy farm for decades, has been converted into a vineyard and venue while retaining all its former rustic charm and beauty. Our family-owned and -operated event venue is our passion project. We wanted to preserve and share a piece of this Ohioan country gem. We spent time renovating the barn and property and planting the vineyard a few years ago. You'll be able to taste our inaugural bottles of wine soon. Set up a meeting with our team today to start planning your big event in Medina, OH. You can breathe easy knowing your event is in our hands. We'll make sure your wedding or other event is executed perfectly. 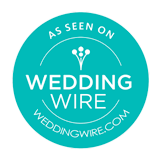 Contact us now to get more information on our services and wedding venue. A great place for any type of event. Owner super helpful and a pleasure to work with. I cannot believe how amazing this experience was. I think it is important to make sure that in the end you remember this day as one of your best. if you want people to talk about going to a wedding that is finally fun, over the top, unforgetable,..over the top absolutely beautiful. Once we saw this venue we knew it was our dream venue. Sam and her husband were amazing, helpful, and caring throughout the whole process. I was set on having an outside wedding, and of course on our wedding day it rained. Sam and her crew made all my dreams possible, pushed our ceremony time back and adjusted to everything I wanted...thank goodness the rain stopped just in time for me to walk down the isle. I had a family friend bake my cake and didn't realize no one was cutting my cake, so Sam and her team took it upon themselves to cut and plate my cake (without asking and stressing me out), I couldn't believe it and was so grateful. I can not be more thankful for Sam and her team for making my day so easy, fun, and amazing! Don't miss out on this venue!! It's breathtaking!! Sam and Eric went above the call of duty to help us create the wedding of our dreams. As someone who has worked at multiple wedding venues, I can honestly say I've never experienced the kind of hospitality and investment in our vision than what White Birch Barn offered. They are both incredibly accommodating and talented at what they do. They even let us have our dogs there to take video on their go pros. This venue is absolutely beautiful and was perfect for our wedding. Sam and Eric are so helpful in every way - even when I was freaking out the morning of over some things forgotten, Sam was there with a solution. Our guests all commented on how stunning the barn was and how nice the owners and bar staff they provided were as well. If you're looking to have a barn wedding, go with White Birch Barn - you won't regret it! We had our wedding there last night and everything was beyond perfect! From the beginning stages of planning to the morning after the wedding Samantha and Eric could not have been more amazing to work with. Nothing was left undone and I didn't have a worry in the world, as the bride, knowing they would make everything perfect. The barn is gorgeous inside and all the details and hard work they put into restoring it is breathtaking. I would recommend White Birch Barn to anyone looking for a unique and beautiful setting for any type of event. What a beautiful venue with so much charm. The staff worked hard to make everything perfect....especially the owners Sam & Eric. Sooo impressed!!! Highly recommend!!!!! Love love love!!! Absolutely gorgeous venue. Owners are super nice! If you are getting married this is the perfect location without a doubt! My best friend had her wedding here and the owners couldn't have been more accommodating and helpful! Sam set everything up and the barn looked incredible! Such a great location and lots of places for beautiful pictures! Copyright © 2019 White Birch Barn, all rights reserved.